On paper, the Cowboys-Vikings game looks like one to avoid. However, with six teams on bye this week, your fantasy matchup could come down to someone in this game. 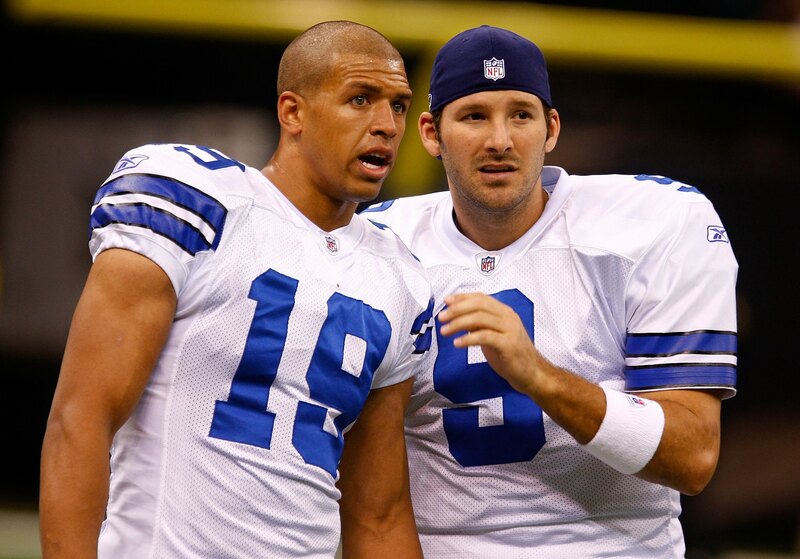 As of writing this, WR Miles Austin's status for Sunday's game looked rather bleak, as he did not practice on Wednesday. If Williams is still available on your waiver wire, do yourself a favor and pick him up ASAP. Williams got off to a rough start on the season, but has gone on to score touchdowns in four straight games. Minnesota allowed 285 passing yards in a Sunday Night loss to Green Bay last week, including 123 and 2 touchdowns to Jordy Nelson. DeMarco Murray says he's "ready to go" for Sunday, and that should end Randle's brief hold on the starting job. Randle was OK in his first career start against Philadelphia (19 carries, 65 yards), but he has not been an adequate replacement for Murray otherwise. Despite scoring his first career touchdown in the game, Randle had just 17 yards on 11 carries when he took over for Murray in the Washington game, and couldn't even muster 2 yards a carry (14 carries, 26 yards) in the loss last week against Detroit. Randle wasn't getting the ball much, if at all, when Murray was healthy, so don't feel too sorry if you drop him all together this week. Is it just me, or could Austin's day as a Cowboy be numbered? Austin could be one of the Cowboys' best players when he's healthy, but that's always the question. He's sat out three games already this season, and he hasn't had a reception since September 22. With the emergence of young guns like Williams and Cole Beasley, Austin's position is slowly becoming expendable. When you're 1-6, you naturally don't posses a lot of fantasy potential. Of course, there is always Peterson, but if the Vikings fall behind early, as they have in the aforementioned previous three games, they'll abandon the run game and force one of their quarterbacks...who resemble The Three Stooges more than three NFL quarterbacks...to throw the ball. Since Caliborne is out, and you may be missing Calvin Johnson, Wes Welker, Demaryius Thomas, Larry Fitzgerald, Vernon Davis or Victor Cruz (all of whom are on bye), you could strike gold by finding a Vikings receiver like Jerome Simpson or Kyle Rudolph on waivers this week. Consider also that Dallas's pass defense is ranked dead last in football. Finally, while the Minnesota defense could give up a lot of point against the high voltage Cowboys offense, Jared Allen and/or Erin Henderson could pick up a sack or two with OG Brian Waters out, and Harris only trails Vikings KR Cordarelle Patterson in return average (39.1). Patterson took last week's opening kickoff to the house from an NFL record 109 yards out. Dez catching too much heat?